I have noticed over the years, that for some reason (or other) anglers will spend thousands of pounds on fishing tackle and then only a few quid on bait. Why I don’t know. As all of this expensive kit is sitting on the bank, but it will not put more Carp on the bank for you. The key to this is bait and attraction. I know non match angler’s don’t like match angler’s much, but folks, you are well and truly missing a trick. These boys & girl’s know how to go fishing and attract enough fish to win a match. Now, if your sitting reading this on a day ticket water, aren’t you fishing a sort of match – against all the other anglers around you?? And if your reading this a lake by yourself, aren’t you fishing against all of Mother Nature’s food sources that are in the lake? So, why oh why, don’t you stick more bait out? I am not taking boillies, that’s a small part of the puzzle. Get talking to the match anglers and understanding the art of attraction. Don’t feed the Carp from the get go, attract them at first, then feed them and hold them in your area. Why would they move off one feeding area to another (unless it smells and tastes better)? Just look at human beings, we have become addicted to fast food, sweet food etc – all the bad stuff and we know this and can’t stop ourselves. Now, Carp are a bit different I know and not as stupid as us, they understand what their body needs are and will be picky, however it can be done. Don’t go cheap on the attraction, you see all these articles and videos of anglers pouring in a whole bottle of liquid attraction to their ground bait mix. There is a reason for this and it’s not all about selling it to the everyday angler (which I am). It does actually work and that’s the real reason. So, next time you are in the tackle shop spending 400 quid (but don’t tell the Mrs the real cost) on a new bivvy, ask yourself, should I not be spending less on the bivvy and more on the bait? Do I want to catch more Carp or be more comfortable on the bank and look good with the latest bivvy? The answer is up to you. To mention only one of these types of company, Spotted Fin is a perfect example of a company who spend thousands of pounds on research and testing on attraction and ground bait. 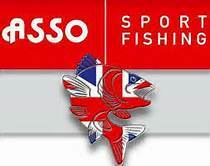 The reason I mention this company is their main area is Carp & Match fishing and has been for years. So you would think they would have the upper hand in that area of the bait industry. Which I can assure you they do. 7 Responses to Bait vs Tackle??? So true! Bait is always the key to getting quality fish. That’s why I spend a tremendous amount of time,energy and even $$$ to ensure we always have the finest sturgeon bait. The results will always be worth it. Good article. Brian, you are certainly right, Thanks for the feed back. I have been float fishing only for a couple of years. On my last trip, on the recommendation of a carp angler on YouTube, I tried using ground bait for the first time. I used a good make he recommended. Instead of catching my usual 10 to 12 silvers in an afternoon I got 35! It made a massive difference. The guy fishing 2 pegs along from me blanked. I felt so bad I offered him some of the ground bait and maggots I was using. You are so right about bait. When he said what I should get I thought it was expensive but considering how easy it made the fishing I’d get it again without a worry. It’s all about catching fish and rods & reels help to a point, but with out the correct bait, you will not catch in the first place. I’m a big believer in groundbait, to the point of avoiding venues where it is banned! Yep, the bait is what the fish want. Whilst I agree with you I do try and avoid the gallon of maggot approach to my pleasure fishing!